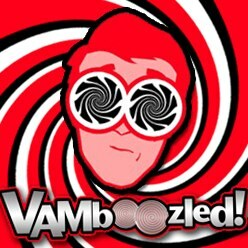 February | 2015 | VAMboozled! Noam Chomsky – Professor Emeritus from Massachusetts Institute of Technology (MIT), “leader in the field” of linguistics, and “a figure of enlightenment and inspiration” for political dissenters – was recently featured in a fabulous post “on the Dangers of Standardized Testing.” The post came from a partial transcript of an interview with Chomsky, with highlights featured in the “Creative by Nature” blog. Click here to read the full article, most of which is also pasted below. The actual lawsuit can be found here, in which the “numerous problems” with the state’s systems are detailed more fully. But in short, the key claim in the charge follows. AFT President Randi Weingarten, commenting on this lawsuit said, “Last year, I called the VAM-based individual teacher evaluation system a sham based on how it was being used in places like Texas and Florida. New Mexico’s use of it is just as concerning.” Hence, New Mexico has certainly made it to the top of the list in terms of state’s to watch, although I would also add to this list the states of Tennessee and New York. Amidst what is largely a bitterly partisan culture on Capitol Hill, Republicans and Democrats agree that teacher evaluation is unlikely to be mandated in the reauthorization of the Elementary and Secondary Education Act (ESEA), the most recent iteration of which is No Child Left Behind (NCLB), signed into law in 2001. See here for an Education Week article by Lauren Camera on the topic. In another piece on the topic (here), the same author Camera explains: “Republicans, including Chairman Lamar Alexander, R-Tenn., said Washington shouldn’t mandate such policies, while Democrats, including ranking member Patty Murray, D-Wash., were wary of increasing the role student test scores play in evaluations and how those evaluations are used to compensate teachers.” However, under draft legislation introduced by Senator Lamar Alexander (R-Tenn.), Chairman of the Senate Health, Education, Labor, and Pensions Committee, Title II funding would turn into federal block grants, which could be used by states for educator evaluation. Regardless, excluding a teacher evaluation mandate from ESEA reauthorization may undermine efforts by the Obama administration to incorporate student test score gains as a significant component of educator evaluation. Under the Obama administration, in order for states to obtain a waiver from NCLB penalties and to receive a Race to the Top Grant, they had to incorporate—as a significant component—student growth data in educator evaluations. Influenced by these powerful policy levers, forty states and the District of Columbia require objective measures of student learning to be included in educator evaluations—a sea change from just five years ago (Doherty & Jacobs/National Council on Teacher Quality, 2013). Most states use either some type of value-added model (VAM) or student growth percentile (SGP) model to calculate a teacher’s contribution to student score changes. As someone who is skeptical about the use of VAMs and SGPs for evaluating educators, I have mixed feelings about the idea that educator evaluation will be left out of ESEA reauthorization. I believe that student growth measures such as VAMs and SGPs should be used not as a calculable component of an educator’s evaluation but as a screener to flag educators who may need further scrutiny or support, a recommendation made by a number of student growth measure (SGM) experts (e.g., Baker et al., 2010; Hill, Kapitula, & Umland, 2011; IES, 2010; Linn, 2008). Lack of clear federal vision for educator evaluation devolves to states the debate. There are strong debates about what the nature of educator evaluation can and should be, and education luminaries such as Linda Darling Hammond and James Popham have weighed in on the issue (see here and here, respectively). If Congress does not address educator evaluation in ESEA legislation, the void will be filled by disparate state policies. This in itself is neither good nor bad. It does, however, call into question the longevity of the efforts the Obama administration has made to leverage educator evaluation as a way to increase teacher quality. Essentially, the lack of action on the part of Congress regarding educator evaluation devolves the debates to the state level, which means that heated—and sometimes vitriolic—debates about educator evaluation will endure, shifting attention away from other efforts that could have a more powerful and more positive effect on student learning. Possibility of increases in inequity. ESEA was first passed in 1965 as part of President Johnson’s War on Poverty. ESEA was intended to promote equity for students from poverty by providing federal funding to districts serving low-income students. The idea was that the federal government could help to level the playing field, so to speak, for students who lacked the advantages of higher income students. My own research suggests that the use of VAM for educator evaluation potentially exacerbates inequity in that some teachers avoid working with certain groups of students (e.g., students with disabilities, gifted students, and students who are multiple grade levels behind) and at certain schools, especially high-poverty schools, based on the perception that teaching such students and in such schools will result in lower value-added scores. Without federal legislation that provides clear direction to states that student test score data should not be used for high-stakes evaluation and personnel decisions, states may continue to use data in this manner, which could exacerbate the very inequities that ESEA was originally designed to address. While it is a good thing, in my mind, that ESEA reauthorization will not mandate educator evaluation that incorporates student test score data, it is a bad (or at least ugly) thing that Congress is abdicating the role of promoting sound educator evaluation policy. Baker, A. L., Barton, P. E., Darling-Hammond, L., Haertel, E., Ladd, H. F., Linn, R. L., . . . Shepard, L. A. (2010). Problems with the use of student test scores to evaluate teachers. EPI Briefing Paper. Washington, D.C.
Hill, H. C., Kapitula, L., & Umland, K. (2011). A validity argument approach to evaluating teacher value-added scores. American Educational Research Journal, 48(3), 794-831. Doherty, K. M., & Jacobs, S./National Council on Teacher Quality (2013). State of the states 2013: Connect the dots: Using evaluation of teacher effectiveness to inform policy and practice. Washington, D. C.: National Council on Teacher Quality. Institute of Education Sciences. (2010). Error rates in measuring teacher and school performance based on students’ test score gains. Washington, D.C.: U. S. Department of Education. Linn, R. L. (2008). Methodological issues in achieving school accountability. Journal of Curriculum Studies, 40(6), 699-711. In a recent paper published in the peer-reviewed journal Education Finance and Policy, coauthors Cassandra Guarino (Indiana University – Bloomington), Mark Reckase (Michigan State University), and Jeffrey Wooldridge (Michigan State University) ask and then answer the following question: “Can Value-Added Measures of Teacher Performance Be Trusted?” While what I write below is taken from what I read via the official publication, I link here to the working paper that was published online via the Education Policy Center at Michigan State University (i.e., not for a fee). “No one [value-added] estimator performs well under all plausible circumstances, but some are more robust than others…[some] fare better than expected…[and] some of the most popular methods are neither the most robust nor ideal.” In other words, calculating value-added regardless of the sophistication of the statistical specifications and controls used is messy, and this messiness can seriously throw off the validity of the inferences to be drawn about teachers, even given the fanciest models and methodological approaches we currently have going (i.e., those models and model specifications being advanced via policy). “[S]ubstantial proportions of teachers can be misclassified as ‘below average’ or ‘above average’ as well as in the bottom and top quintiles of the teacher quality distribution, even in [these] best-case scenarios.” This means that the misclassification errors we are seeing with real-world data, we are also seeing with simulated data. This leads us to even more concern about whether VAMs will ever be able to get it right, or in this case, counter the effects of the nonrandom assignment of students to classrooms and teachers to the same. Researchers found that “even in the best scenarios and under the simplistic and idealized conditions imposed by [their] data-generating process, the potential for misclassifying above-average teachers as below average or for misidentifying the “worst” or “best” teachers remains nontrivial, particularly if teacher effects are relatively small. Applying the [most] commonly used [value-added approaches] results in misclassification rates that range from at least 7 percent to more than 60 percent, depending upon the estimator and scenario.” So even with a pretty perfect dataset, or a dataset much cleaner than those that come from actual children and their test scores in real schools, misclassification errors can impact teachers upwards of 60% of the time. In sum, researchers conclude that while certain VAMs hold more promise than others, they may not be capable of overcoming the many obstacles presented by the non-random assignment of students to teachers (and teachers to classrooms). In their own words, “it is clear that every estimator has an Achilles heel (or more than one area of potential weakness)” that can distort teacher-level output in highly consequential ways. Hence, “[t]he degree of error in [VAM] estimates…may make them less trustworthy for the specific purpose of evaluating individual teachers” than we might think.